IT was a pleasure to work with Tanya and Danny, though their wedding planning was very different than most. See Danny is Irish and had to return to Ireland before the wedding, and I don’t blame Tanya for wanting to go with him. So, we did almost all of our planning over the phone and e-mail over a thousand miles apart… not to mention like 7 time zones. Tanya and Danny had selected the Ashton Depot to serve as the host venue for not only their wedding ceremony but for their wedding reception as well. For brides that may be considering a wedding at the Ashton Depot you will need to take a few things into consideration. First, the venue is adjacent to the largest rail switching station west of the Mississippi so be aware of the train schedules. Do a little homework with Amtrak and try and avoid the times when passenger trains will be stopping at the new station 2 blocks away. 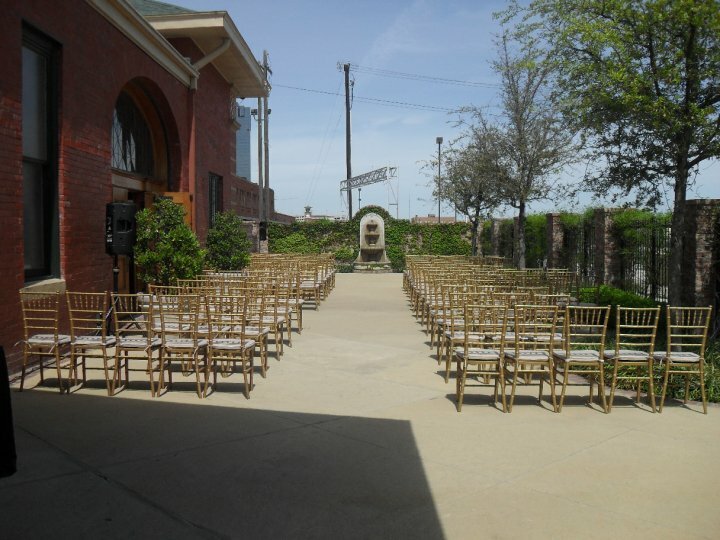 While we did do this for Tanya and Danny’s wedding we had a train park for 5 hours on the rails waiting for a freight train to make it through, and unfortunately for us it was late and didn’t make it through the rail yard until an hour after the ceremony. 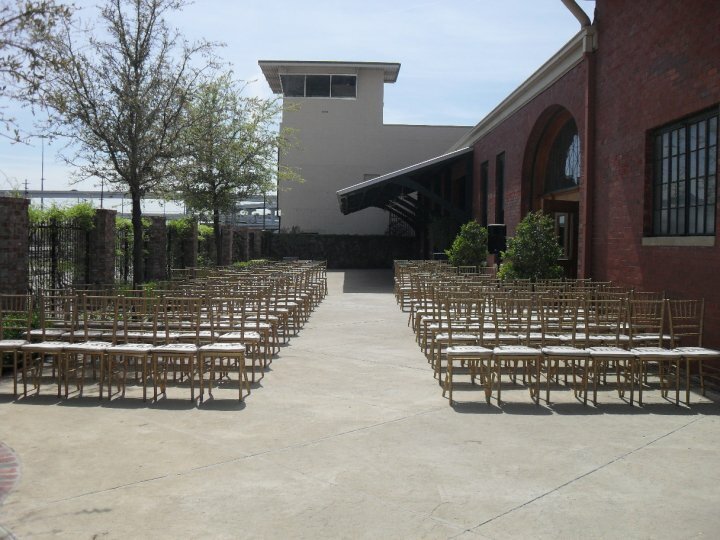 Now a few things you can have as a backup plan for this ceremony site is first to incorporate the use of a sound system on the back patio area. This will allow music to be played at volumes loud enough to at least take away the distraction of a 3000 hp diesel engine idling at 100 feet from you. 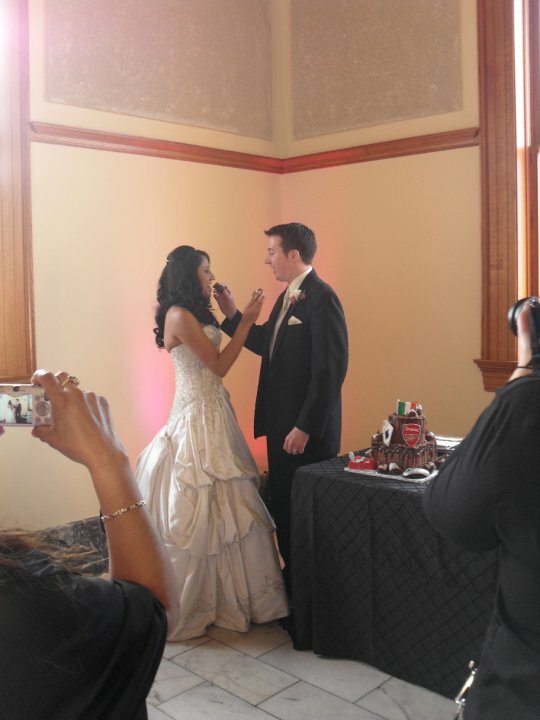 but secondly, with the use of proper microphones you guests will still be able to hear your vows and special readings. That is why they came to witness your ceremony right? We did take these precautions so the train didn’t bother us too much, other that us holding off starting the ceremony for 15 minutes hoping the train would move one as reported from the Amtrak call center…can’t win them all. After the ceremony, Leslie Wandel of Studio W Photography & Artistic Image Weddings, took the wedding party and family to Bass Hall where they spent 30 minutes taking pictures in one of the most beautiful facilities in Fort Worth. As they were taking pictures their guests were treated to the string quartet by Serenata Strings which is one of my favorite string quartet companies. They are super versatile with song selections and can even arrange your favorite song to strings. Once the string quartet finished playing I began to play some classic jazz selection from greats like Frank Sinatra and Dean Martin. When Tanya & Danny and the wedding party arrived back from Bass Hall they entered into the bridal suite where we went through some quick instructions on where to go and stand for the introductions. 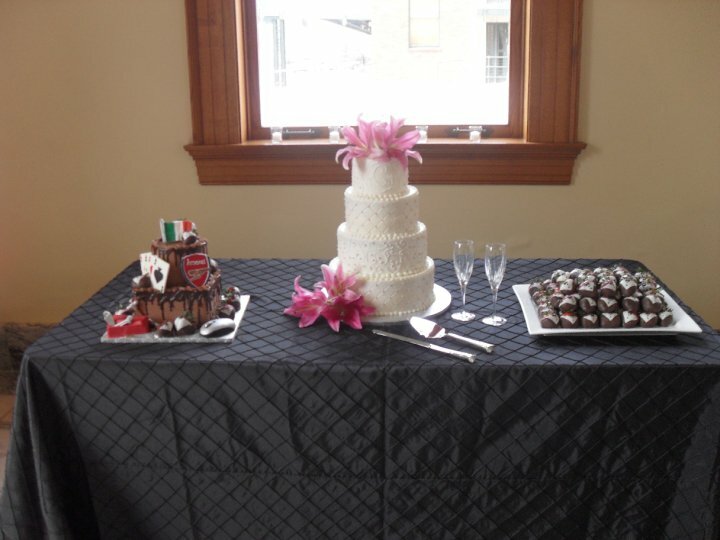 I really loved Danny’s Grooms Cake, very cool. Tanya and Danny were so cute together, again a wonderful reminder of the reasons why I love my job! As the sun went down the party really turned up and the true decor of the building could come out. 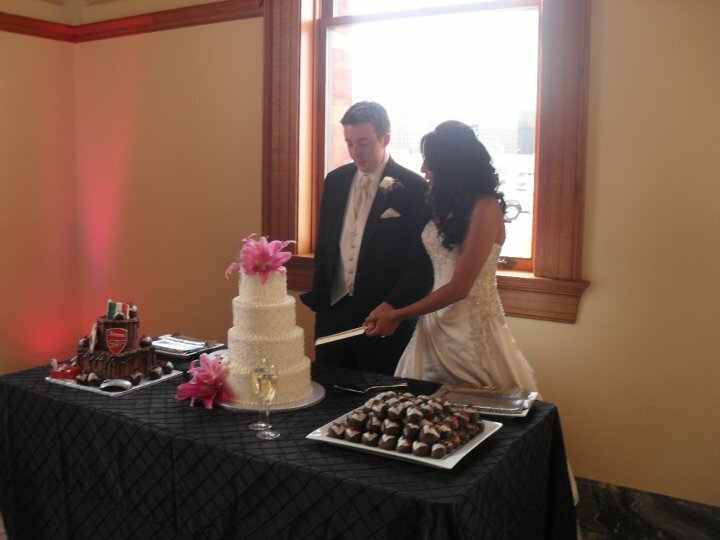 Ashton Depot was a glow in pink, the Bride’s favorite color. I provided the uplighting for the venue and Ashton Depot really takes well for the effect. Tanya wanted to wash the walls in pink so thats exactly what we did. The Ashton Depot really takes well to lighting so if you’re thinking about it go for it, it looks great! We wrapped up most of our activities by 9:00pm which is the time at which the videography company had to leave, which is unfortunate because the night was just warming up! At one point I was pulled out from the DJ booth and then tossed in the air by the groomsmen. It was amazing. So from 9:00pm to 2:00am we continued dancing. I had a blast with this crowd because I got to play some Irish tunes and even got to witness a 5 minute go of River Dancing, which apparently everyone from Ireland can do, it’s like their Cupid Shuffle…lol I did make a little video log from the event so here that is.